Looking for corporate housing in San Diego that’s comfortable, convenient, and completely refreshing? 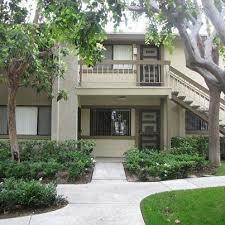 San Diego’s Foxwood Corporate Apartments has all the above in addition to many corporate perks. Here are just a few ways you can enjoy the corporate housing here at Foxwood Corporate Apartments and alleviate many headaches that pop up on business trips. You can relax on your business trip to San Diego. It’s easy when you have paradise outside your front door! Foxwood Corporate Apartments is situated on 5 acres of stunning greenbelt garden park. In the center of our apartments, you’ll find the year-round heated pool and spa surrounded by lounge chairs and a special barbecue area. You can swim laps after work, relax in the Jacuzzi, or order a team-building barbecue for all to enjoy. Our peaceful environment at Foxwood Apartments will boost creativity amongst your corporate team! Whether you’re taking public transportation or renting a car for your corporate commutes, Foxwood Corporate Apartments has a convenient location. Located across the street from the 933 bus stop, you can hop on and be at the nearest trolley station in just 10 minutes. Foxwood Apartments is also just one block away from I-805 and eight blocks away from I-5, which allows you to get on the freeway quickly from our on-site parking lot. 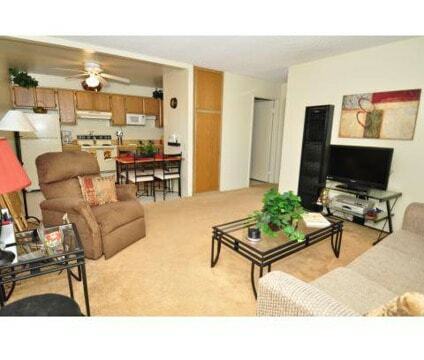 You’ll have everything you could possibly ask for in your corporate housing package. With free Wi-Fi access, lots of workspace, and available copy and fax services, you can work remotely from your corporate apartment. Maid service is also available. Take a look at our corporate apartment package for a complete list of amenities you’ll enjoy while staying at Foxwood Apartments. Contact us today to get started on the easy application process. We look forward to your visit to San Diego! San Diego is huge! There are so many great neighborhoods and unique areas to discover in San Diego; from downtown San Diego’s nightlife to the relaxing waves of the Pacific, San Diego has it all. It may be a challenge to see all of San Diego’s finest features, however, the public transportation in San Diego allows you to maximize your time and money with easy commutes and affordable prices. In San Diego, there is a fairly extensive bus and trolley system that operates every day of the week. The directions and routes of San Diego’s public transportation reach many parts of the city. With easy-to-read maps and timetables, you’ll be zipping around San Diego in no time at all. The dependable San Diego bus and trolley schedule is timely, allowing you to stay on schedule while touring America’s Finest City. You’ll also enjoy the convenient access to public transport when you book a temporary apartment at Foxwood Corporate Apartments. The 933 bus station is located on Delcardo Avenue, just across the street from Foxwood Apartments. Simply hop on the bus and you’ll arrive at the Palm Avenue trolley station in moments, from here, you can get to all areas of San Diego from East County’s Santee to the U.S./Mexico border! 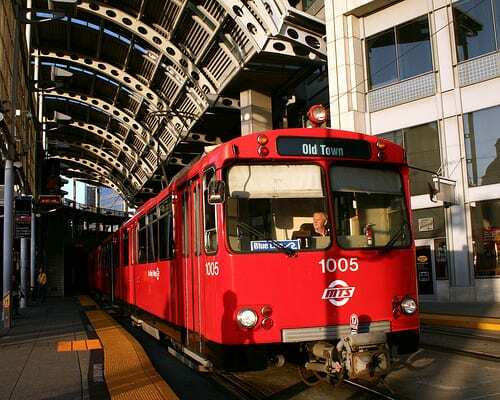 Open up your San Diego vacation to the dependability and convenience of San Diego’s public transport. San Diego is your oyster; go explore all the fun opportunities and experiences available to you in America’s Finest City. For more information on how to take San Diego’s buses and trolleys, visit the Public Transportation section of our website. Get the most out of your trip to San Diego with the help of San Diego’s bus and trolley system! There’s nothing like the comfort of your own home. If you choose to vacation in San Diego or have a short-term trip planned to America’s Finest City, you’ll have the perfect place to call home at Foxwood Corporate Apartments. With our fully furnished, one- and two-bedroom apartments, temporary housing can feel like paradise. Here are just a few perks to choosing Foxwood Corporate Apartments as your temporary home away from home. If you love to live in a resort-style setting during your temporary stay, our beautiful apartment complex will certainly satisfy your needs. 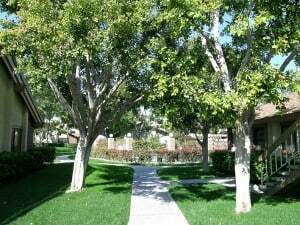 Our apartments are situated on 5 acres of greenbelt garden park including immaculate gardens, pristine landscaping and large shade trees. You can even enjoy this fantastic ambiance from the year-round heated pool and spa that’s just steps away from your front door! Each and every one of our temporary apartments is full of all the essentials you’ll need for a San Diego vacation. From a fully stocked kitchen with all dishware and cookware needed to the cable-ready TV and DVD player, it will feel as if you’re a San Diego native in our temporary housing. With all of life’s little essentials, you only have to worry about the important things when packing for San Diego travels. Whether you’re in San Diego for business or pleasure, our convenient location will have you cruising down the freeway in minutes. Just blocks away from the major I-5 and I-805 freeways, Foxwood Apartments acts as a great home base for sightseeing and business functions. For a vacation to San Diego that feels more like home, opt for Foxwood Corporate Apartments on your next stay in America’s Finest City. Contact us to begin the easy application process and we’ll have a place for you in no time at all. Allow Foxwood to be your home in San Diego. We look forward to your next short-term stay here at Foxwood Corporate Apartments! Are you looking for just the right amount of practicality and pleasure? With temporary housing in San Diego, you can guarantee that your vacation or short stay in America’s Finest City is nothing short of pure paradise and luxurious amenities. As soon as you set foot on our lush, green resort-style apartment complex, you’ll feel as if you’re staying at country club accommodations. Situated on 5 acres of greenbelt garden park, our location is bursting with nature, large shade trees, and beautiful gardens. With curved paths leading right up to the heated pool and spa, relaxation will be at the center of your world at Foxwood Corporate Apartments. While living in San Diego, you’ll experience temporary housing that goes above and beyond any ordinary expectations! Not only will your stay be satisfying from the exterior, the interior design and amenities of our temporary housing set us apart from the rest! At Foxwood Apartments, our one- and two- bedroom apartments are ideal for a temporary stay, with designer dÃ©cor, comfortable beds, and a slew of practical amenities, we will brighten up any short-term relocation to America’s Finest City. Some of the amenities you’ll enjoy in the apartment are a TV and DVD player, a full-size kitchen with all appliances and coffee maker, all kitchenware and dishware necessary to prepare a meal at home, and so much more! A full list of amenities is available online in addition to photo galleries of our rooms, check them out for a more detailed list of what can be yours during your days in San Diego. Whether you’re coming to San Diego for business, vacation, or a temporary getaway, Foxwood Corporate Apartments will provide you with beautiful housing that’s ideal for any on-the-go visitor. For more information about our gorgeous accommodations, a full list of amenities, or our easy application process, visit us online or call 619-690-1199 at your earliest convenience. Get San Diego’s best in temporary housing when you choose Foxwood Apartments as your permanent escape in San Diego. Sit back and relax! 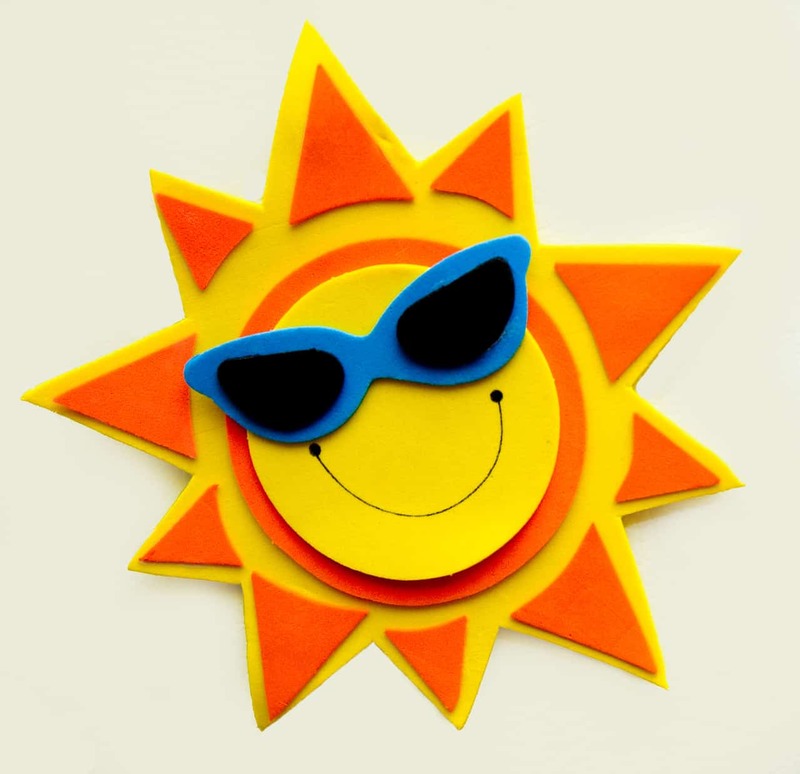 Even if you’re traveling for reasons other than vacation, you’ll feel as if you’re at a resort with the stunning country club setting of Foxwood Corporate Apartments. Here at our short-term apartments, we have one- and two-bedroom accommodations that are perfect for temporary housing in America’s Finest Â City. Here are just some of the amenities you’ll enjoy during your temporary stay with us! 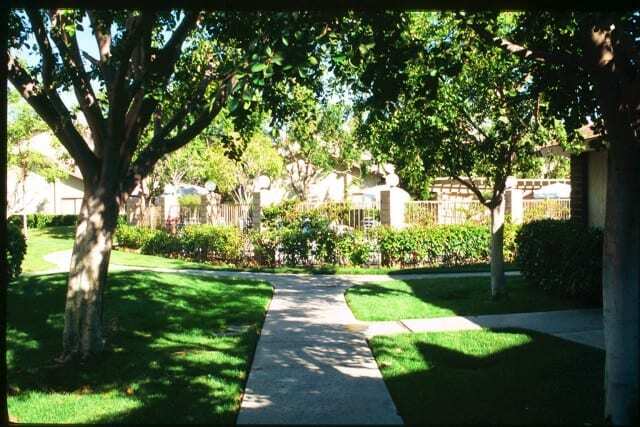 Our apartments are situated on 5 acres of greenbelt garden park that are loaded with beautiful gardens along curved paths and large shade trees to keep you cool during the warm summer months. Being surrounded by nature is the best way to enjoy San Diego–soak up the sun and relax in the natural ambiance of our apartments. Another wonderful amenity at Foxwood Corporate Apartments is the year-round heated pool and spa. With comfortable lounge chairs and barbecues, you can have the ultimate pool party at your temporary home. And you can always wind down in the Jacuzzi whenever you’d like! Nothing compares to poolside access just steps away from your front door. And if the outdoor environment isn’t enough to satisfy your vacation and temporary housing needs, our fully furnished apartments come with all the designer dÃ©cor, upscale furniture, and loads of amenities for you to enjoy. For a comfortable, convenient, and completely luxurious stay in San Diego, make Foxwood Corporate Apartments your home in America’s Finest City. Visit us online to look at our photo galleries, find a full list of amenities, and begin the quick application process. Your temporary stay in San Diego starts with the refreshing resort-style setting of Foxwood. We look forward to your stay with us!